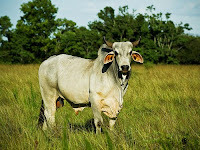 The Brahma Bulls red eyes watched menacingly from the edge of the forest. Their floppy ears and loose hump on their backs could have been comical but instead, like evil circus clowns, these distractions and the bulls’ white coats, inadequately concealed their sinister intentions. The humps twitched back and forth, their heads raised in unison and their hooves dug into the packed earth that described the herd’s territory. They would charge at any wrong move and the fence at the southern end of the pasture was still too far away to be sure I could reach it before the Bulls. I fixed my stare on the fence and took the next step. This was my wilderness as a young boy; a pasture sprawled across two small hills and one valley, actually only a draw that separated the two hills. A few barns and outbuildings surrounded the farmhouse on the east hill. The west hill peaked beyond the fence line that defines the farm’s boundary. On the South the fence line was the end of this particular danger zone on my path to the next farm and my friend Jerry’s house. 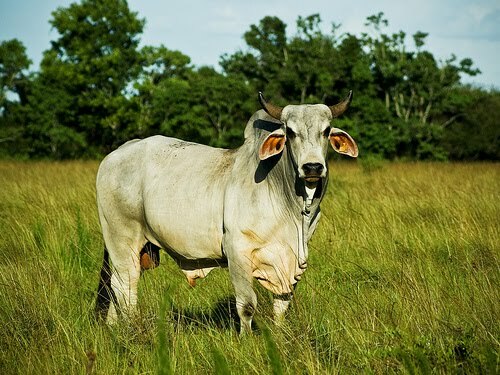 When I feared the Brahma Bulls’ red eyes, little did I know that, later in life, they would be a metaphor for the beast that lurks, not in our wilderness, but in the deceptive peace of our suburbs? It’s predicted that, by the next century, as many as One billion Americans will live on our 3.8 million square miles of land, mountains, deserts and lakes. At suburban densities, without more high-density cities, we would need 3 times the land area we now have to hold this many people. Even with more high-density cities, more people living in the border areas, as Thoreau called them, or Suburbs and rural areas, as we know them, would swell the land area consumed, and leave no room for wilderness, and our connection to some of the last remaining reserves of our natural environment.